Happy National Button Day! 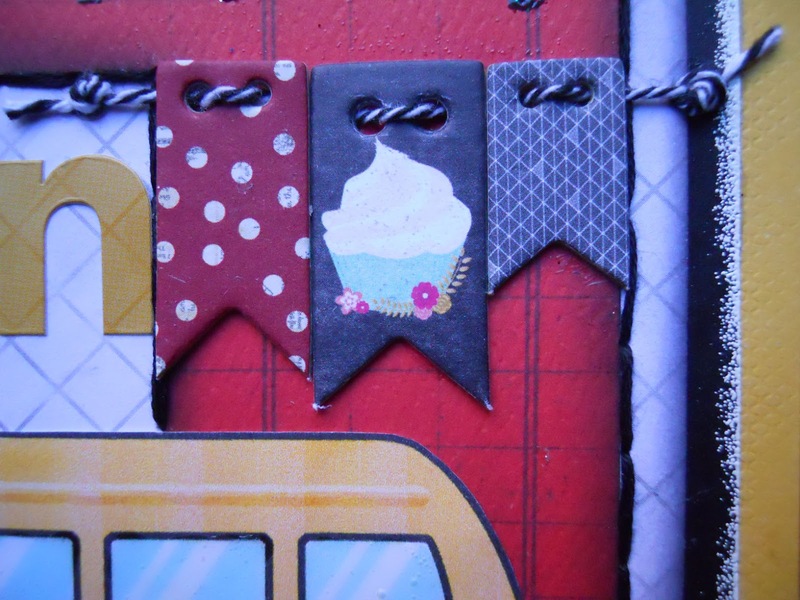 Drea here with the Design Team, and I can't believe another year has already gone by since my post here, celebrating one of my favorite embellishments! I got into my late Grandma's button stash to create a couple of cards using some of my older Bundles. 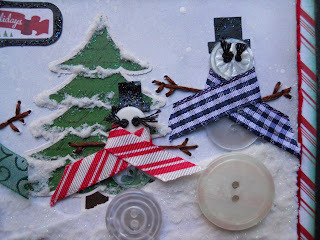 Pinterest is always full of great ideas, and inspired this cute, little, snowman family! The background was done with Hickory Smoke, Pumice Stone, and Weathered Wood Distress Inks spritzed with some water. Then I used an old toothbrush to apply snow using White Linen Dylusions Paint. 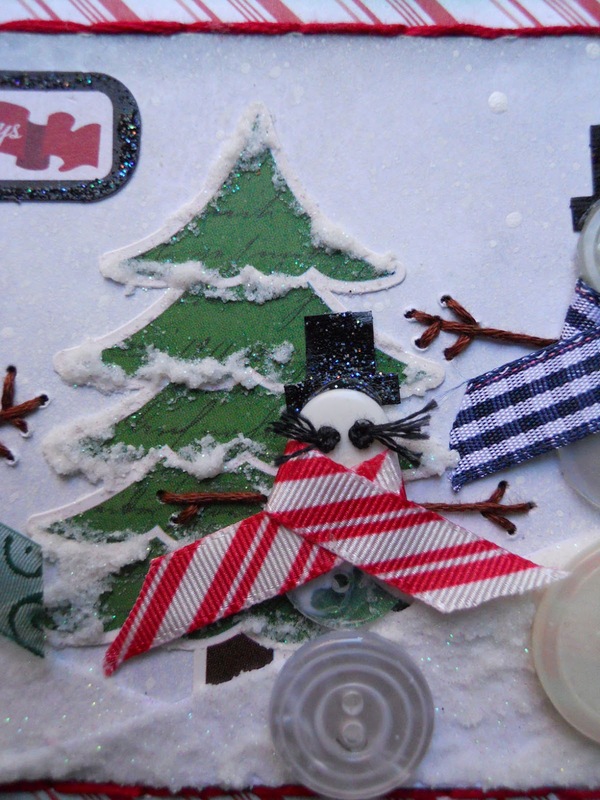 The actual snow texture, which I absolutely LOVE, was done with Prima Marketing's Snowflake Paste, used on the hills and the tree sticker applied with Bo Bunny's Palette Knife! The snowmen were made with 3 buttons, knotted at the eyes, with scraps of ribbons for the scarves. Then I cut the hats from black cardstock, coating them with Black Diamond Stickles, also used on the edges of the sentiment. This other card was made for my nephew, and again uses up some older Bundles, including Bo Bunny's Pop Quiz Papers with Black Soot Distress Ink applied to the edges. 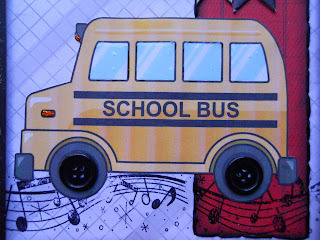 After printing the bus image onto white cardstock, I applied Glossy Accents to the windows, and Orange Peel Stickles to the lights. Black buttons make perfect wheels, atop the embossed music notes stamped with Ranger's Jet Black Archival Ink! Bo Bunny Bundles and Ephemera Packs almost always have buttons in them, including chipboard ones. 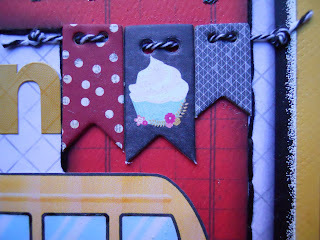 Don't be afraid to mix up different collections like I did on this banner strung together with twine. Thanks for your visit! You can never have enough Buttons, so shop FotoBella.com to add to your collection!